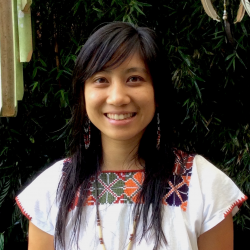 Elaine (Lan Yin) Hsiao is an interdisciplinary scholar and consultant, specializing in transboundary conservation, Indigenous and community conservation, and environmental peacebuilding. She has helped provide legal frameworks for transboundary parks for peace, developed a service-learning expedition in Parque Internacional La Amistad, co-directed/produced a documentary film for "Transcending Boundaries," consulted on cross-border and community conservation initiatives, published, and passed resolutions on the environment, peace and conflict at IUCN and WILD Congresses. She represented a Small Island Developing State (Union of Comoros) at the UN General Assembly on climate change issues and received a Fulbright to Uganda in 2010-2011. Elaine completed her PhD in Resource Management & Environmental Studies at the University of British Columbia's (UBC) Institute for Resources, Environment and Sustainability (IRES) and holds a JD and LLM in International and Environmental Law from Pace Law School, where she remains a Fellow, Specializing in Protected Areas at the Pace Center for Environmental Legal Studies. She currently Co-Chairs the IUCN CEESP Theme on Environment and Peace and is an Honourary Member of the ICCA Consortium. Originally from California, Elaine loves camping and hiking in coastal areas and mountain forests, crafting (lately mostly sewing and crochet), slow foods and good stories over tea.